Product Details Model : Nokia 3 Part : Battery Replacement Module Quality : OEM Warrant.. Product Details Model : Nokia 3 Part : Charging Port PCB Flex Cable Quality : OEM Warra.. Product Details Model : Nokia 3 Part : Ear Speaker Replacement Module Quality : OEM War.. Product Details Model : Nokia 3 Part : Front Camera Replacement Module Quality : OEM Warrant.. Product Details Model : Nokia 3 Part : Loudspeaker Replacement Module Quality : OEM Warranty.. 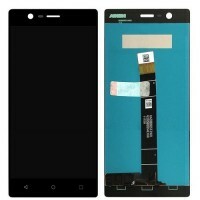 Product Details Model : Nokia 3 Part : Motherboard Flex Cable Module Quality : OEM Warranty .. Product Details Model : Nokia 3 Part : Rear Camera Module Quality : OEM Warranty : 10 Days* .. Product Details Model : Nokia 3 Part : Rear Housing Battery Door Colour : Black Quality : OE.. Product Details Model : Nokia 3 Part : Rear Housing Battery Door Colour : Blue Quality : OEM.. Product Details Model : Nokia 3 Part : Rear Housing Battery Door Colour : White Quality : OE.. 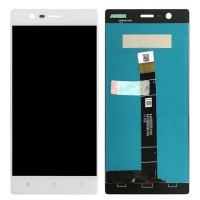 Product Details Model : Nokia 3 Part : Side Volume And Power Button Flex Cable Quality : OEM ..